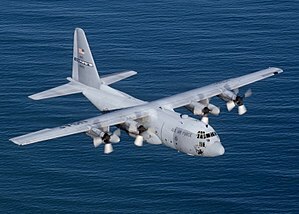 ^ "Hercules History". lockeedmartin.com. Lockheed Martin. Retrieved 2019-04-06. ^ Petrescu, Relly Victoria; Petrescu, Florian Ion (2013). Lockheed Martin. Germany: Books on Demand GmBH, Norderstedt. p. 11. ISBN 978-3-8482-6053-9. Retrieved 2016-07-07. ^ Horizon, Over The (2017-03-06). "C-X: Next-Gen Cargo Plane for the Joint Force". OTH. Retrieved 2019-02-21. 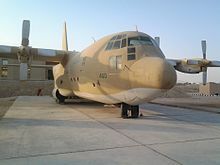 ^ "C-130 History". Lockheed Martin. Retrieved 2018-09-25. ^ Neely, Mike. 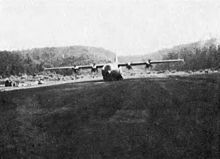 "C-130 Hercules Lands on U.S.S. 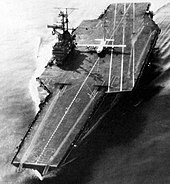 Forrestal". 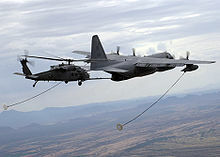 theaviationzone.com. Retrieved 2017-02-18. 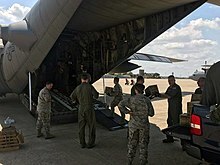 ^ "Air Force Reserve's 910th Airlift Wing provides initial response to De". Youngstown Air Reserve Station. Retrieved 2019-02-21. ^ "910th receives Outstanding Unit Award". Youngstown Air Reserve Station. Retrieved 2019-02-21. 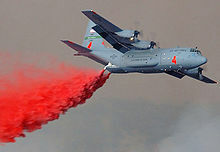 ^ "Aerial Spray Mission". Youngstown Air Reserve Station. Retrieved 2019-02-21. 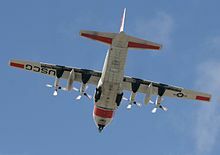 ^ "Hurricane Harvey relief: Air Force provides mosquito aerial spray applications : Pest Management Professional". Retrieved 2019-02-21. ^ "Criminal Occurrence description". 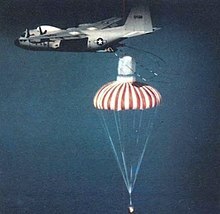 aviation-safety.net. Retrieved April 13, 2017. 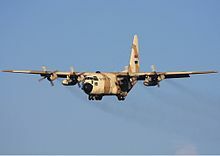 ^ "Lockheed C-130A Hercules A97-214". 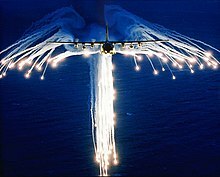 airforce.gov.au. Retrieved October 13, 2018. ^ "Museo Aeroespacial Colombiano Tocancipá, Colombia". Aviationmuseum. Retrieved 2017-05-26. ^ TOPPER, Javier Franco. "El Museo Aeroespacial Colombiano". 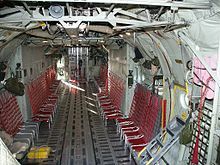 El portal de la Aviación (in Spanish). Retrieved 2017-01-16. ^ "USAF Serial Number Search (55-037)". Retrieved 2018-02-14. 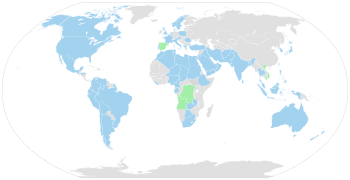 This page was last edited on 18 April 2019, at 01:03 (UTC).